Researchers at the University of Massachusetts, Amherst found that for every $1 billion in military spending far more and better paying jobs could be created in education, healthcare, and green energy. A billion dollars spent in green energy would generate 6, 000 jobs that pay between $32, 000 and $64, 000 a year, and another 2, 300 jobs that pay over $64, 000. The equivalent amount in military spending, however, would generate 4, 700 mid-income and 2, 350 high-income jobs, 15% less overall than in green energy. In education the results were far more striking, where $1 billion would generate 120% more jobs than would be generated through the military. “[S]pending on clean energy, healthcare, and education,” the researchers concluded, “all create a much larger number of jobs that pay wages greater than $32, 000 per year” than are created through military expenditures . These are questions Seymour Melman addresses in his book Profits Without Production. Melman argues that the deindustrialization of America can be traced back to the adoption of cost-maximizing in the machine tools industry, a consequence of producing for the military economy [Ibid, p. 5]. In the 1950s, in the heat of the space race between the Soviet Union and the U.S., the U.S. Air Force was the chief sponsor of technological development in this critical industry. Numerical control technology, for instance, allowing many of the tasks of a machinist to be supplanted by prerecorded control information for greater accuracy, was developed by MIT engineers and the U.S. Air Force. This became an open invitation to abandon cost-minimizing [Ibid, p. 5]. Since capability and performance are primary to the military when selecting a contractor, any incentive to offset costs by changes in internal production methods and design were discarded by the leading manufacturers. Costs were simply “passed” along to be added to the final price. It is this cost-maximizing that is at the root of the exponential increase in the cost of military equipment, such as the F-35 fighter jet, which has increased in price by more than 93% before even being put into operation . Between 1971 and 1978, as the new management style of cost-maximizing became more widespread, the cost of machine tools increased on average by 85% annually, outpacing the rise in wages [Ibid, p. 5]. Consequently, in important industries like steel and auto, there was no incentive to invest in new machinery, and this in turn led to an unprecedented decrease in productivity. The machine tools industry itself had failed to invest in the very technology it developed to improve productivity. In the decade 1965-1975, annual productivity growth in Japan and the U.S. was 10% and 2% respectively. By 1980 the annual productivity growth in the U.S. had reached an unprecedented low of -0.5%, as investments in new technology and machinery came to virtual standstill [Ibid, p. 6]. During this same period the U.S. military used up every $52 of capital resources for every $100 that was assigned to civilian production [Ibid, p. 88]. Unable to compete with Japanese and West German manufacturers, many U.S. manufacturers of steel, autos, electronics, machines, and other industries were pushed out of the international and domestic markets. Despite the hourly wages of Japanese workers increasing on average 4.9% annually between 1960-1967 and 8.8% between 1967-1976, compared to 1.7% and 0.8% for American workers respectively , by 1980 Japanese manufacturers supplied 20% of all U.S. steel, eliminating one out of every five jobs in the U.S. steel industry [Ibid, p. 188] ; 27% of all the autos on American roads; 87% of all the televisions; and 15% of all the executive aircraft [Ibid, p. 2oo]. The massive quantity of capital needed to feed the war machine has also led to the deterioration of infrastructure and social services. “The federal government,” writes Melman, “has been milking the economy of New York State (and Illinois, Michigan, Pennsylvania, Ohio, Indiana, Wisconsin – all of them centers of civilian industry) and transferring capital and purchasing power to the states where military industry and bases are concentrated.” [Ibid, p. 231] Healthcare, social services, education, and clean water have all been shortchanged to fund the war machine. In 1981, according to a report by the Council of State Planning Agencies, one out of every five bridges required rehabilitation or reconstruction; the Interstate Highway System was deteriorating at a rate requiring reconstruction of 2, 000 miles of road a year; and 9, 000 dams were in need of safety improvements [Ibid, p. 228]. The case of New York was particularly striking. The report estimated that in New York City 6, 200 miles of paved streets, 6, 000 miles of sewers, 6, 000 miles of water lines, 6, 700 subway cars, 4, 500 buses, 17 hospitals, 19 city university campuses, 950 schools, and 200 libraries would require repair, service, or rebuilding to remain operational [Ibid, p. 228-229]. 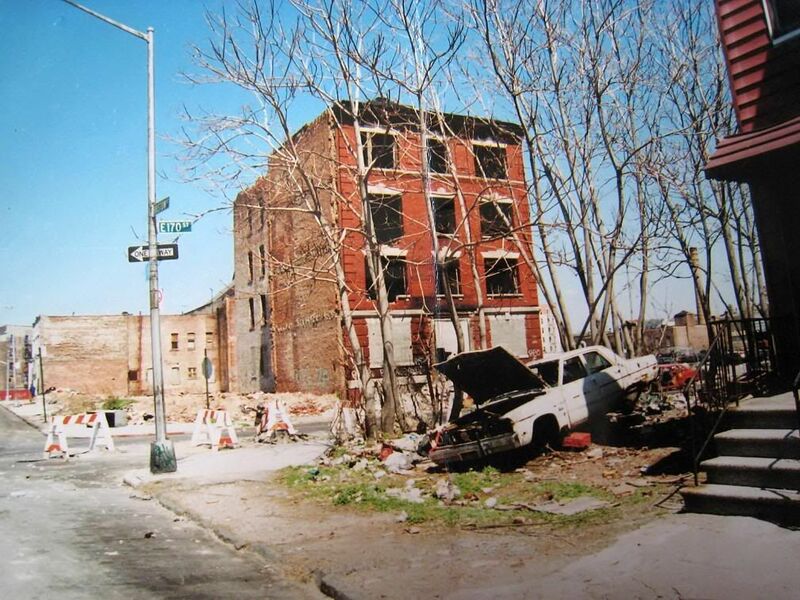 A New York City Councilman, so desperate to acquire funding to rebuild the South Bronx, asked for a $5 billion loan from the Soviet government through a Soviet Peace Committee delegation in 1980 [Ibid, p. 231]. Due the application of federal funds to the war machine, an estimated 1, 015, 000 man-years of labour was lost between 1977-1978 [Ibid, p. 238]. This estimate, however, does not include the secondary effects of the absorption of capital by the war machine, “like further productivity forgone owing to the economically nonproductive character of military goods and services.” [Ibid, p. 238] The social cost of the deindustrialization of America is staggering. According to a study conducted by Harvey Brenner, for each 1% rise in unemployment nationally, there is a corresponding annual increase of 650 homicides, 920 suicides, 20, 000 deaths from heart disease, 3, 300 admissions to state mental hospitals, as well as increases in prison admissions . Several years ago Dr. Valerie Ramey, then the Dean of Economics of UC San Diego, and a Stanford economics PHD, authored a study on the difference in spinoff between defense spending and civilian economic spending. Her study ended up as an NBER piece. The piece is entitled “Government Spending and Private Activity” from January, 2012. In her study she found that the spinoff from civilian economic spending was between 2.25 and 3,00, while the spinoff from defense spending only amounted to 0.75 to 1.25. I have used her spinoff figures in a couple of pieces I have written on the economic and job creation effect of a proposed $200 billion cut in defense, which including the fact that commercial credit would be greatly freed-up, resulting in additional economic and productive investment, new jobs, plus extra tax revenue, as well as the spinoff, would produce close to 1 million net new jobs that paid $60K, and would reduce our annual budget deficit by between $320 and $360 billion. Here is Dr. Ramey’s professional page which shows her level of experience. As well as her page showing her experience in Effects of Government Spending research. I lived in Detroit for 25 years and served the wholesale meat industry there for another 20 years as well as the auto industry and other industries there for another decade. Nothing like getting to watch your hometown destroyed by unfair trade and endless war spending, which both political parties in America have gleefully participated-in. 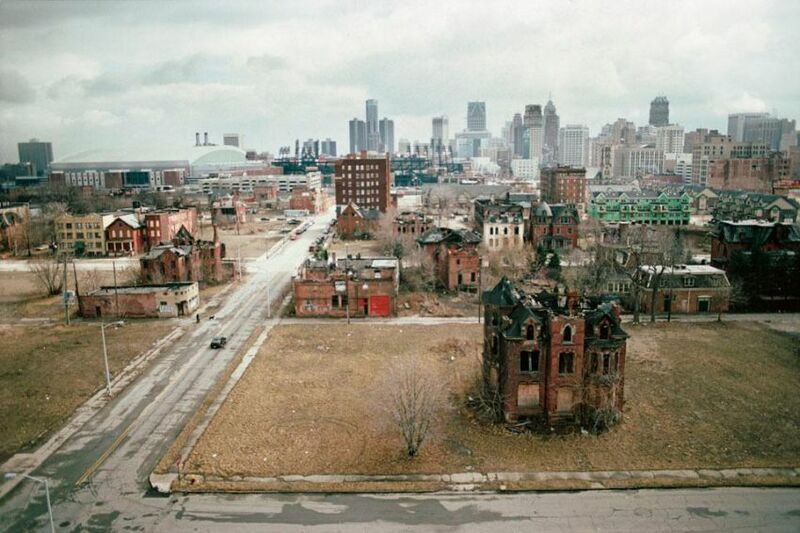 No wonder we voted for Bernie Sanders, as any hope that the mainstream Democrats care about Detroit or the needs, hopes, and dreams of its millions of residents, is long gone.